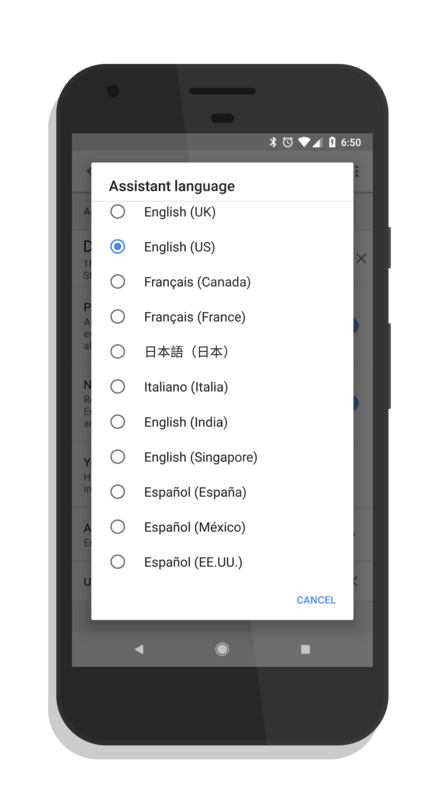 A small, quiet update has rolled out to Google Assistant that allows you to set your default language in three Spanish dialects. The update, which is a cloud-side update, allows for users to set España, México, and EE.UU as their default language. The addition of these different dialects almost assuredly means that expansion of Google Home into Mexico and Spain is just around the corner as that has been Google’s pattern in previous Google Home and Google Assistant expansions this year. To set your language to one of the three new Spanish dialects (or any for that matter), open up Google Assistant on your Phone, then open the Explore area of the app (the Blue icon in the upper right corner). Now go to the overflow menu, select Settings, then select any of your Google Assistant enabled devices. Now tap on Assistant Language and you can change it to any of the available languages. This will replicate across all off your devices. If you aren’t seeing the new languages just yet, give it time. Google may still be rolling this feature out and given it is a cloud-side update, it is just a matter of when it gets to your account.